Anyone else excited for the new Marvel Star Wars comics? Wow! News to me, Art School Dropout. I mean, I knew that SW was coming back to Marvel (and something about that just feels so right to me), but I had no idea creative teams had been announced or cover art released. Looking quickly on Google, I see that Jason Aaron will be writing the main SW title. I loved Aaron's Vietnam War comic The Other Side, but other than that I'm not familiar with his work at all. Worryingly, the GCD tells me that he's scripted some of Marvel's crappier events of the last few years. Still, his work on The Other Side demonstrates that he's definitely capable of some good writing. As for John Cassaday on art, again, I'm largely unfamiliar with his stuff, so I guess I'll wait and see on this. The Leia mini-series sounds very interesting. I've liked a few of Mark Waid's things, like Kingdom Come and his work on Amazing Spider-Man. Plus, Terry Dodson's artwork always hits the spot for me. So that creative team definitely has me interested. I'm less sold on the Gillen/Larroca Darth Vader series. There have been some fairly reasonable Vader-centric SW comics over the years, but I always think that Darth Vader works best in the role he was originally designed for -- as an antagonist for Han, Luke and Leia et al. All of his most memorable appearances in the various SW comics find him in that role IMO. Also, I think I would've preferred Marvel to have just had one Star Wars book, and tell all the stories they want to in that...like in the old days. Hell, they could even make it bi-monthly like Amazing Spider-Man. With these three books, they seem to be following the Dark Horse marketing template or maybe that's just the way the industry is nowadays. When do these books come out? January and February 2015, I believe. EDIT: Ha! Beaten to the punch by Art School Dropout. Wow, they're not wasting any time once those rights expire with Dark Horse. I'll be getting all three and I'm glad the Star Wars comic interruption won't be a long one. Same here, when it was announced that Disney wasn't allowing Dark Horse to renew the licence I was a little worried that they'd just let it sit so it's great to see that isn't the case. In case folks missed it, Marvel is giving the old Star Wars comic they did the omnibus treatment as well. This was announced well before SDCC and has already been solicited though. Just finished reading both Star Wars: The Force Unleashed OGNs and enjoyed them. The artwork in both volumes is excellent especially the colors by Michael Atiyeh (volume 1) and Diego Rodriguez (volume 2). The first story is about Darth Vader's secret apprentice Galen Marek, codenamed Starkiller. (Annikin and Kane Starkiller being character names from Lucas' first draft and later used in the series The Star Wars.) Star Wars: The Force Unleashed II features Bob Fett who is hired to hunt down a clone of Starkiller. between this and the extended 7 minute preview of the first episode, I am really excited for this show. very cool, I was a big fan of the Clone Wars series and this looks to be just as good. 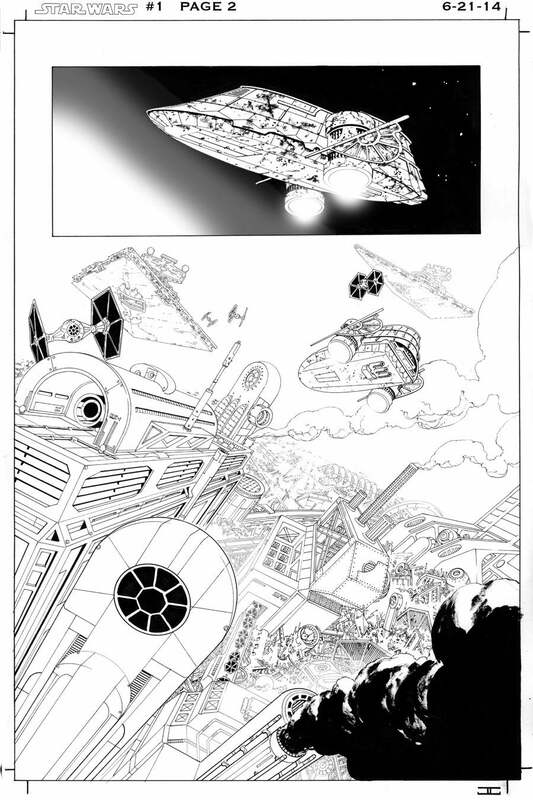 Marvel to collect Dark Horse Star Wars material.